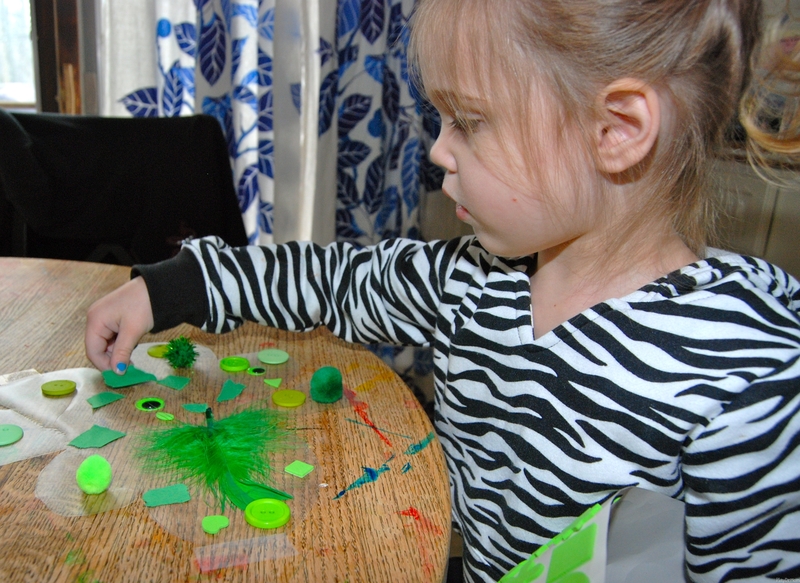 Here’s a simple activity craft that I did with my 3 1/2 year old daughter today. 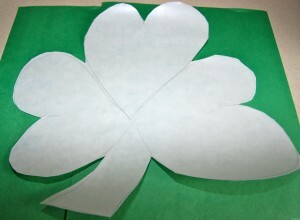 We started off my having me draw a simple shamrock on contact (or sticky) paper. I learned when I was a kid that the easiest way to draw a shamrock/clover is by drawing 3 hearts next to each other and then add the stem. So that’s just what I did! And then I cut it out. 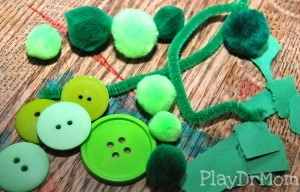 Then it was time to gather up green craft supplies! We found buttons, pom poms, scraps of pipe cleaners and green paper, sequins, and google eyes. 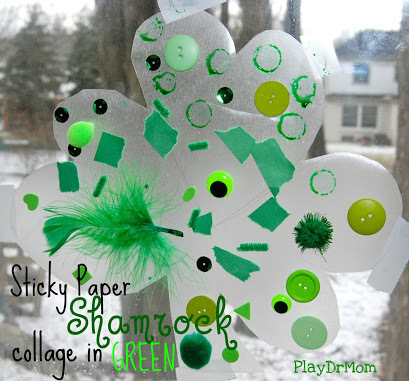 The sticky paper shamrock was a simple and fun activity that she really enjoyed doing. This project could easily be done with any shape and color. We’ve done other sticky/contact paper projects before and we always have lots of fun with them (Leaf Man and tinkering with flowers).